Now that March is here and Spring upon us, it’s time to start looking at making the most of the opportunity to improve your garden. Decks are a popular garden landscape feature fitted to create more space for socialising and entertaining in the garden and increase your living space for the summer months. Whether you choose natural wood or a low-maintenance composite, decking is a great way of adding character and value to your outdoor space. There are several benefits associated with adding a new deck. Whether having a barbecue or throwing a party a deck provides additional space. Your decked area can be an extra room in the summer months where you can spend time with family and friends. A deck is easy to furnish to create a living or dining area and can also be used as a storage space so your garden can become much more functional no matter what it’s size or terrain. If your home is positioned on a hill, your garden is on the small side or on uneven ground, there may not be much usable space available. 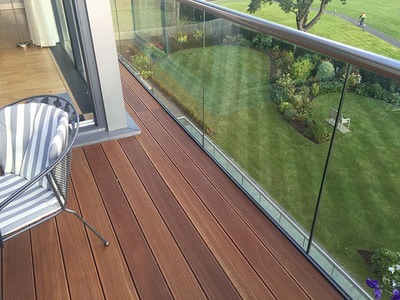 A deck can increase your garden’s usability because it may be elevated or built in levels to provide multiple areas and can hide any problematic areas of ground. Adding a deck can add visual appeal and enhance your garden by giving different heights, dimensions and colours to suit your lifestyle and the space you have. You could consider incorporating a gazebo, built in seating or raised beds for bringing in some greenery, or choosing a vibrant stain to bring a splash of colour to your garden. Decking doesn’t have to be attached to the house either. You can zone your garden by choosing the sunniest and most peaceful area and create a natural seating area that will never be muddy underfoot. Decks are an affordable and low maintenance solution and involve a much shorter construction period than brick-and-mortar additions to your garden, and a well-designed and covered decking space or roof terrace can offer a year round option. 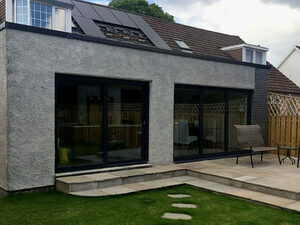 We are experienced in assessing outdoor space, planning and building decks to enhance our client’s gardens. If you’re thinking of making changes for this summer, get in touch to arrange a visit and we can advise you and provide a quick quote. Make sure you also keep an eye out for our upcoming blog posts about renovating your home, interior design trends and tips by following us on Facebook, Twitter and Instagram.